Does this PDF have an index with bookmarks to the different subjects or is it just a scanned copy? The preview just has bookmarks to the jpg of each page. Does anyone know if the Conjurer OCC from Federation of Magic is in this sourcebook? The previews aren't working. 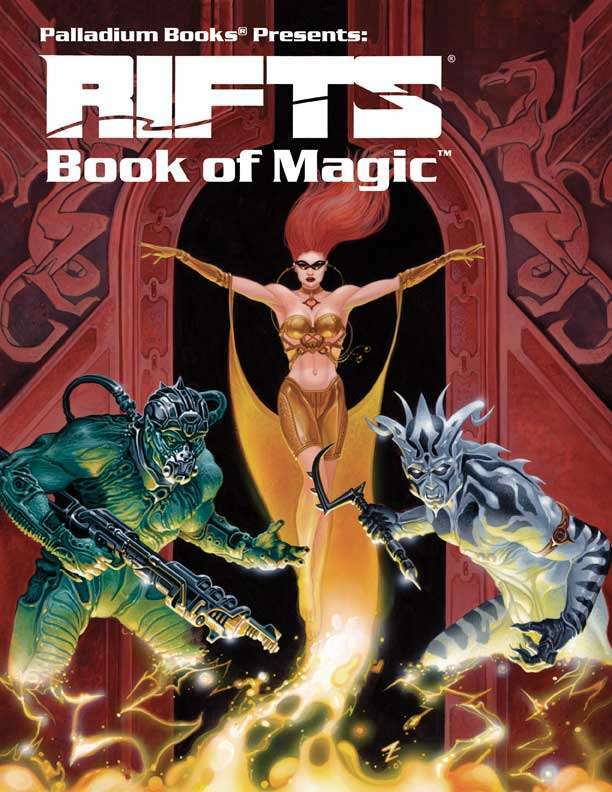 I have a copy of the Fourth printing of Rifts Book of Magic from 2006. The Conjurer OCC is in there, but it is only two pages since there are really no actual spells for a conjurer, only rules for conjuring. To that extent, it includes everything that Rifts World Book 16: Federation of Magic has. So even though it is only about two pages of content, it is not omitting anything as far as conjuring magic is concerned. The only thing World Book 16 has that Rifts Book of Magic doesn't is the character creation stats for the OCC such as skills and equipment and attribute requirements. Good to hear! The Conjurer OCC was actually a part of a sourcebook for Heroes Unlimited that was unfortunately one of the casualties of the troubles they had in the late 90s. At least part of the work lives on!